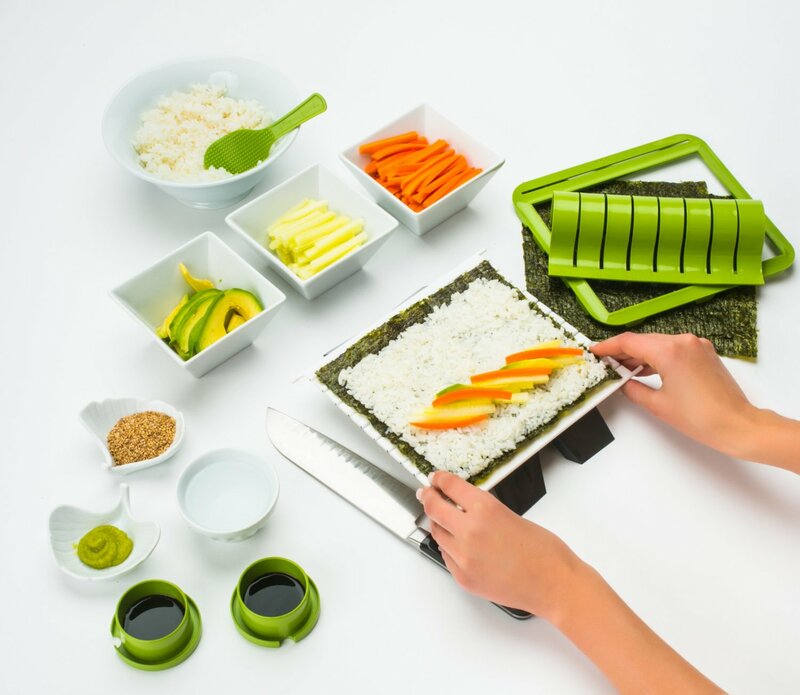 Easiest way to make sushi! 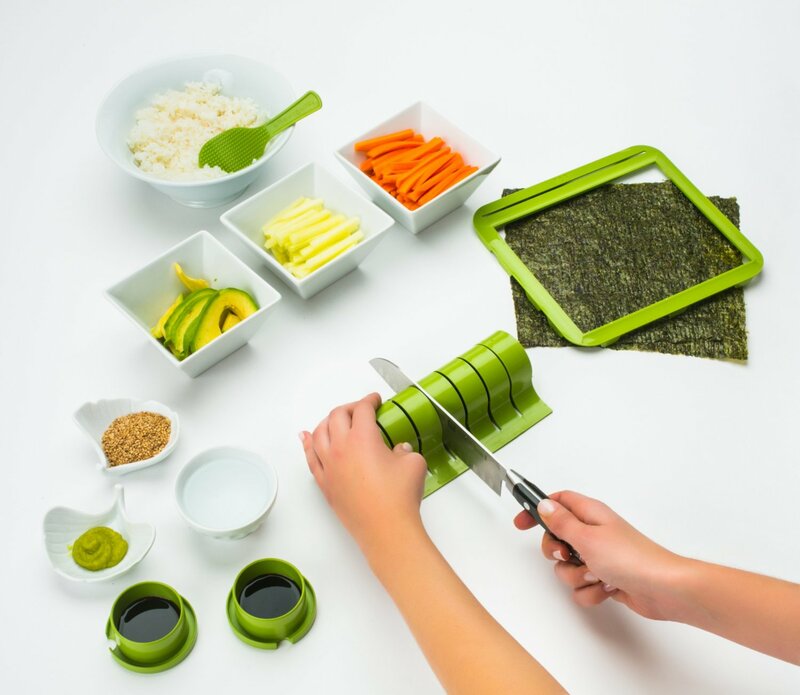 Easy for the whole family to use. 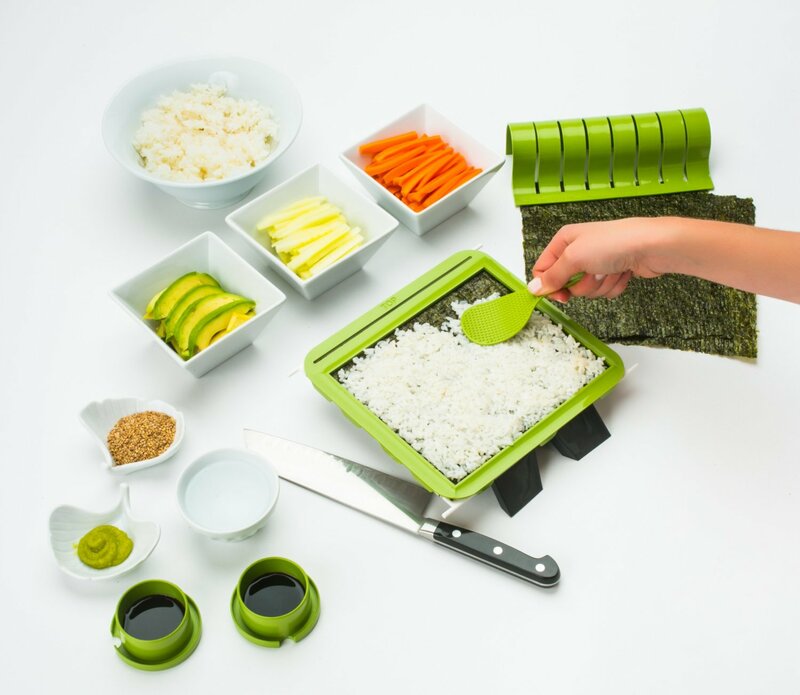 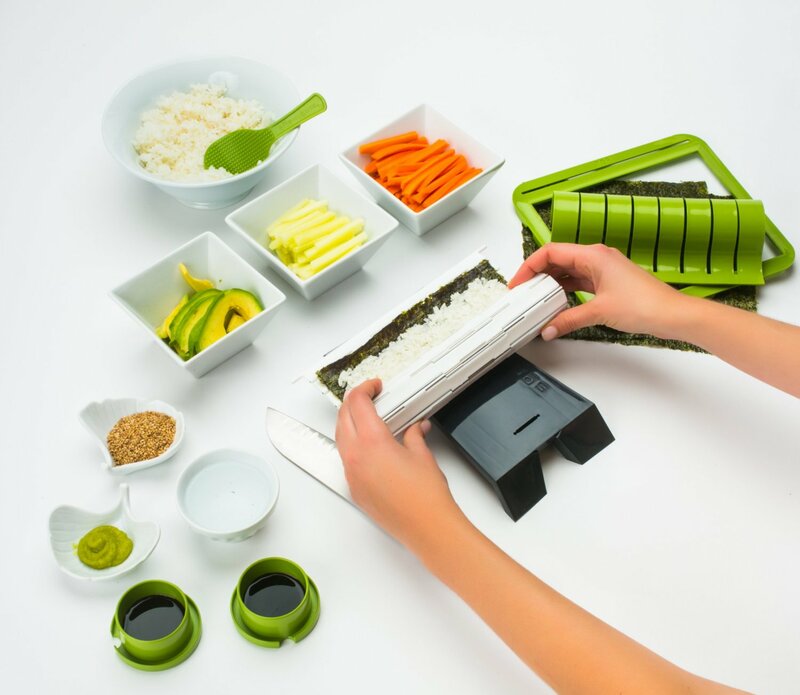 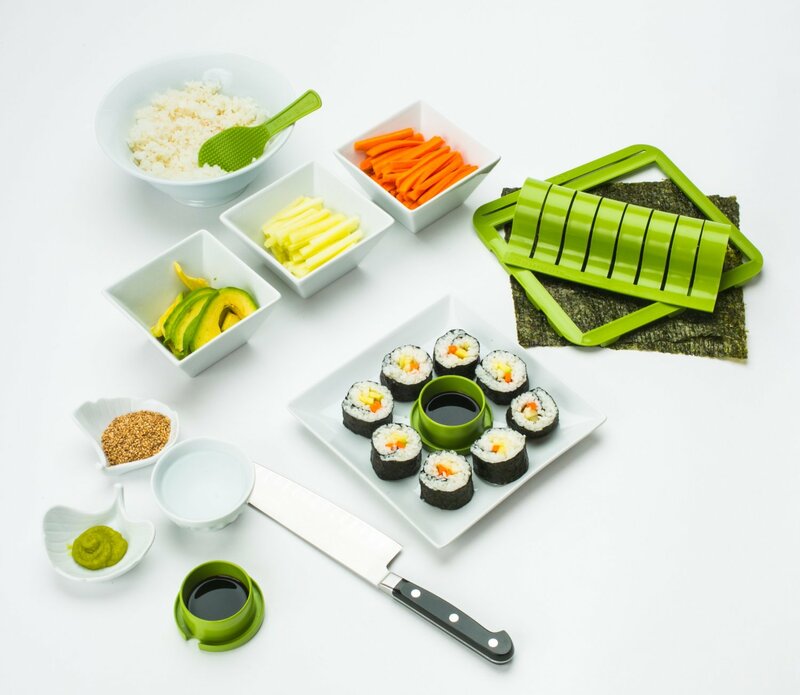 Makes all sushi roll sizes including rolls with rice on the outside. 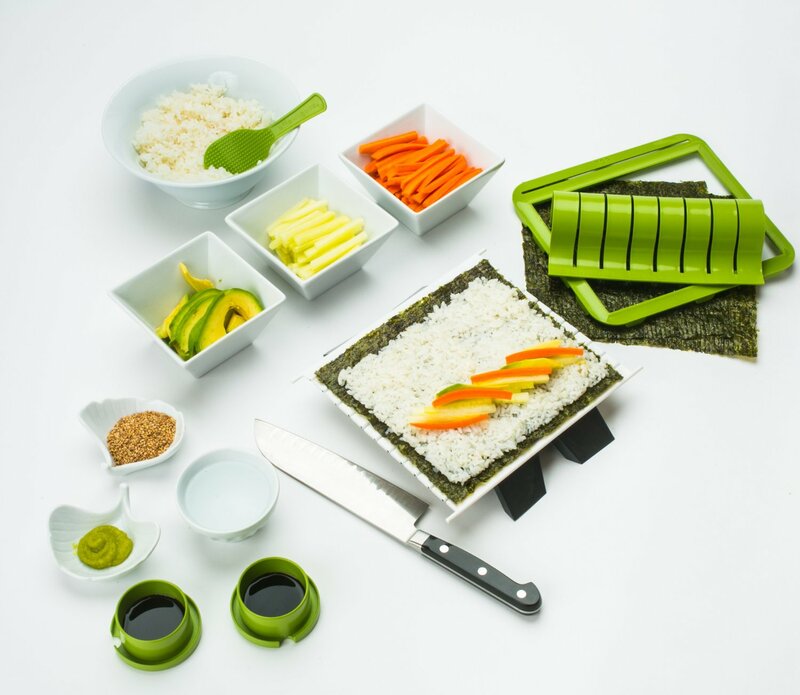 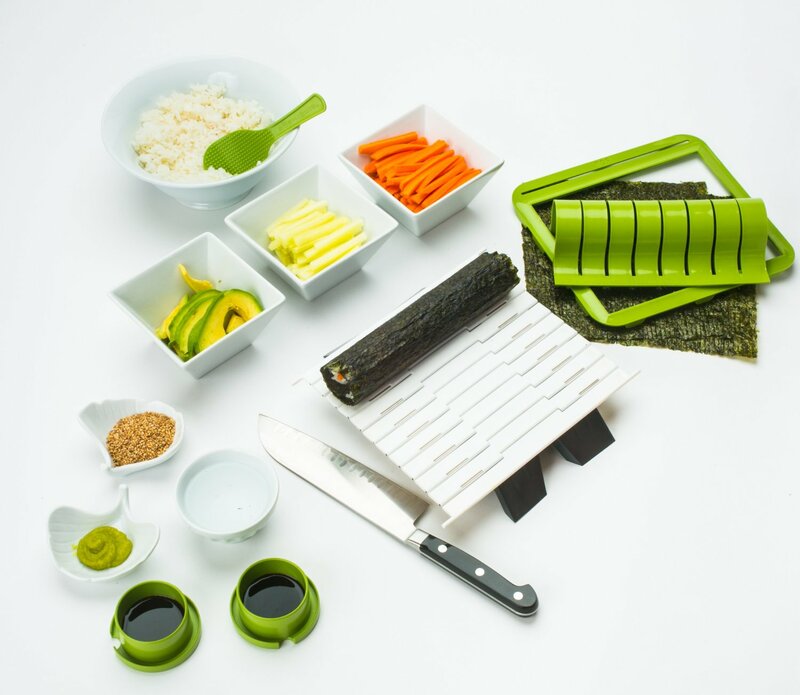 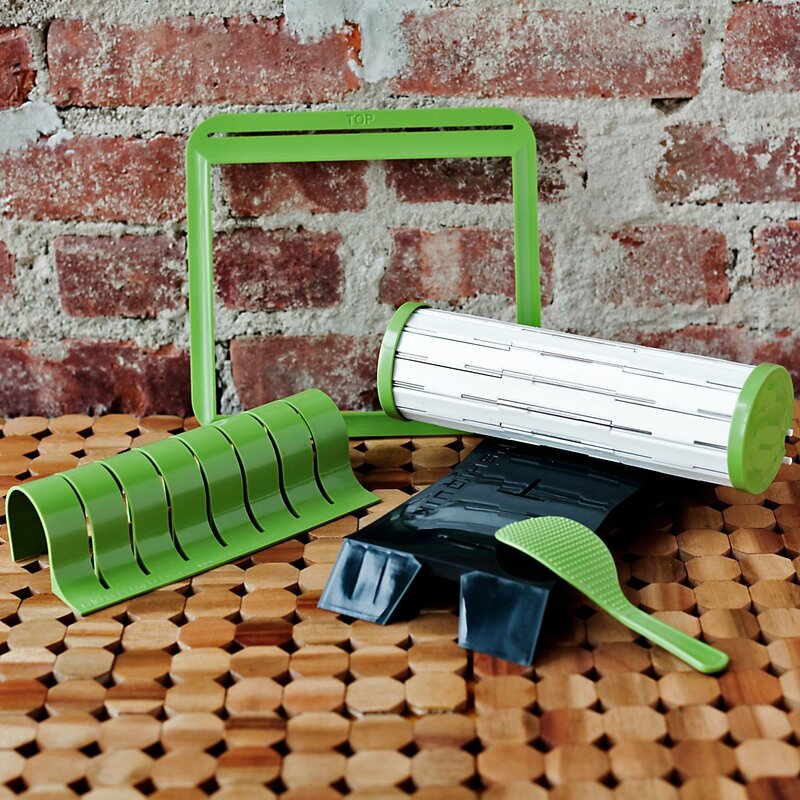 Easiest and most complete sushi kit on the market.